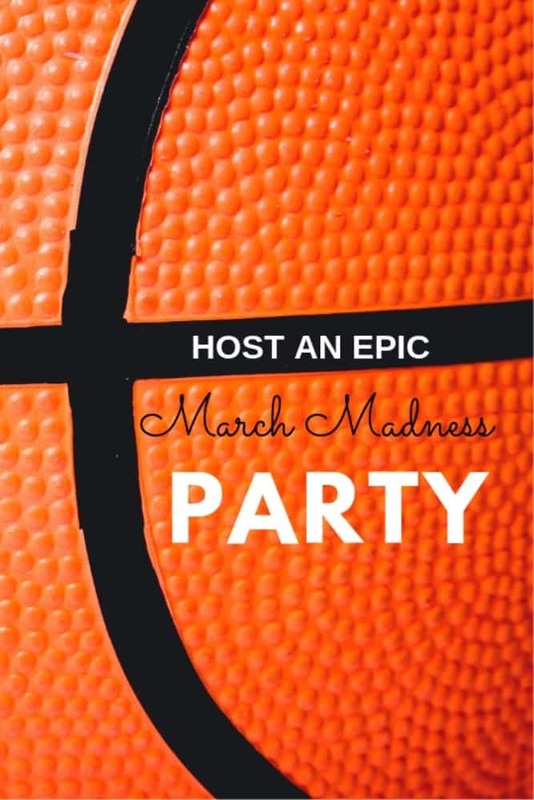 Hosting a March Madness Viewing Party Just Got Easier with a List of Favorite March Madness Party Ideas for Adults and Kids! I’m going to just say it how it is…. 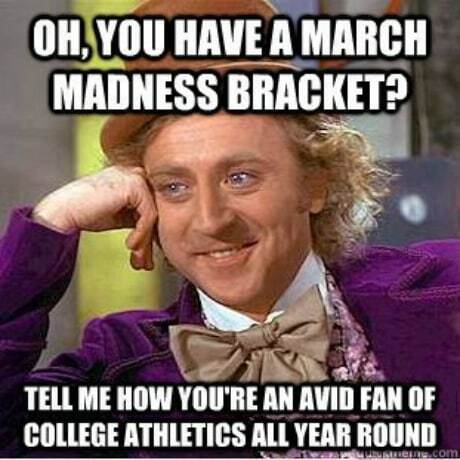 I’m only a fan of basketball during March Madness NCAA Tournament time. Yep! 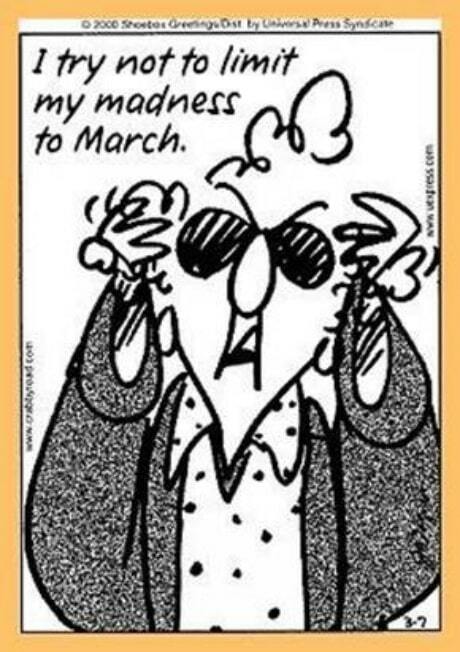 I am ignorant to college basketball until I see those organized graph of lines in the NCAA bracket charts getting distributed among friends, family and coworkers. With that being said, here are the things I can really get into when it comes to March Madness. The gamble – I love taking chances on filling out a bracket with hopeful underdogs. The excitement – I’m easily influenced by large cheering crowds at bars. The Celebration – if there is a reason to throw a party or a theme to decorate around, I’m on board! 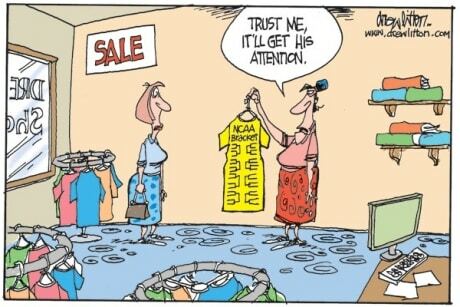 decide on a date and time… that is already decided by the NCAA! That just leaves the invites, food, and decorations. 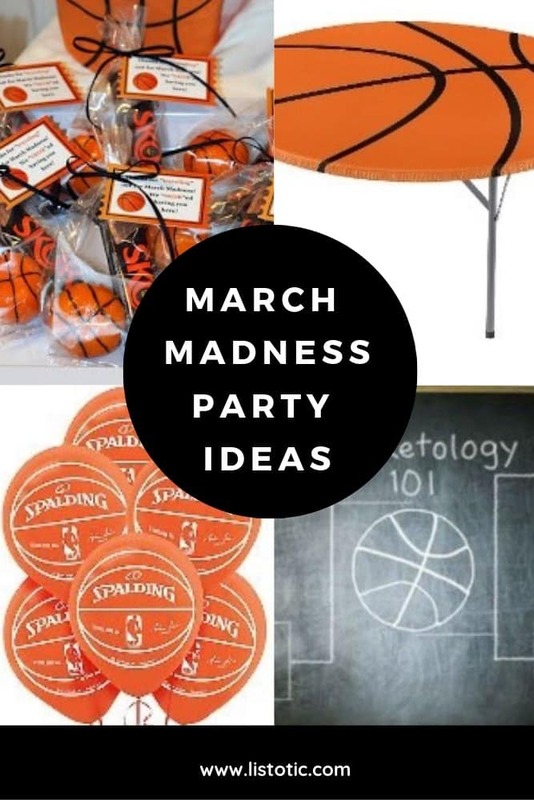 If you are planning a March Madness Party and need some March Madness Party Decorations, I’ve compiled a list of all the party supplies you’ll need from Party City and Amazon. Balloons are a great way to showcase your favorite college basketball team colors. I like balloons because they can make a big party statement without taking up a bunch of table space. The more room for food the better! Here are some favorite ideas for balloons and other party décor to incorporate into your march madness viewing party. Cheer on your favorite players with Spalding Balloons! 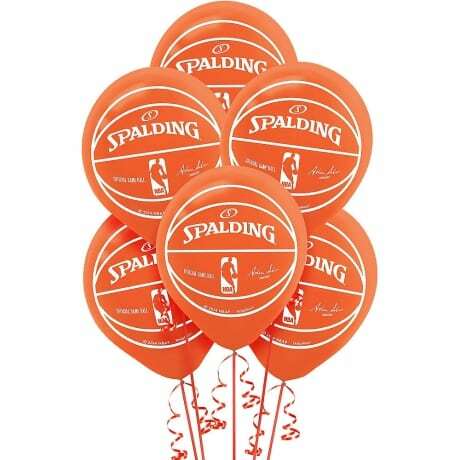 These officially licensed NBA balloons feature a white outline of a basketball with the Spalding logo. They’re a great addition to your sports-themed party. Swish! 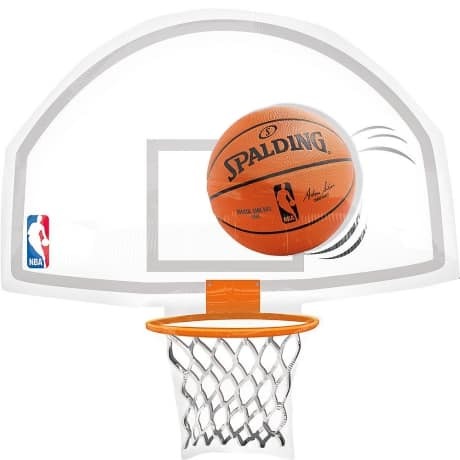 Complete your basketball viewing party with an NBA Basketball Hoop Balloon! The foil balloon looks like a basketball going into a hoop. Pair this basketball hoop balloon with other basketball-themed balloons and decorations for your viewing party. 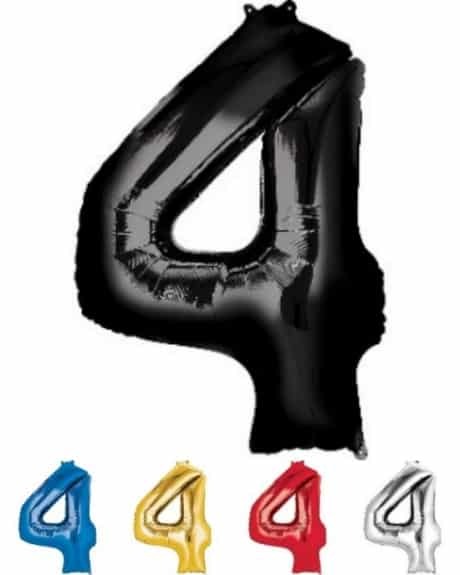 A black (or other color) balloon represents the Final 4 for your tournament party! The metallic finish of this foil balloon makes it an eye-catching addition to your event. 24in wide x 36in tall. These sneakers resemble basketball shoes and can add a little color variation to your decorating. 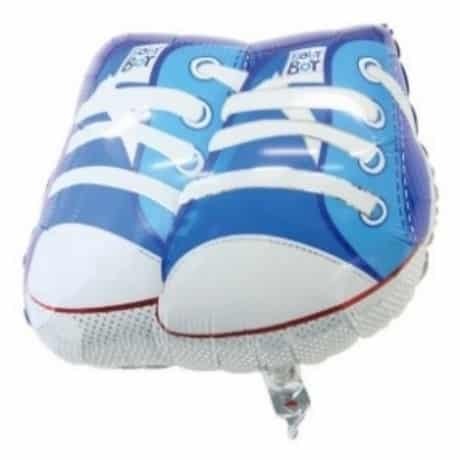 Note: They do say “Baby Boy” on them. But, if you float them high enough, you shouldn’t see it. However, if you hang with friends who are 6’5″, you should be prepared to take the jab about who’s having a boy? Just be ready with a good comeback! View the entire list of March Madness Party Ideas .